Fancy making your own advent calendar? Rather than a shop bought advent calendar this year, why not come along and make your own? We'll be using Belgian chocolate to make 24 delicious chocolates to fill an advent calendar, plus a special treat for Christmas Day too. 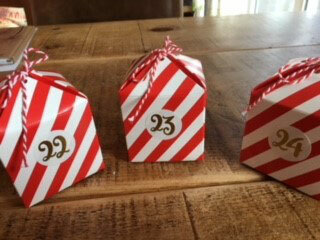 If you have your own advent calendar which just needs filling then chose the chocolate only option, alternatively you can make the chocolates and take home an advent calendar. What better way to get into the festive season than an evening making your own chocolates to enjoy during advent.